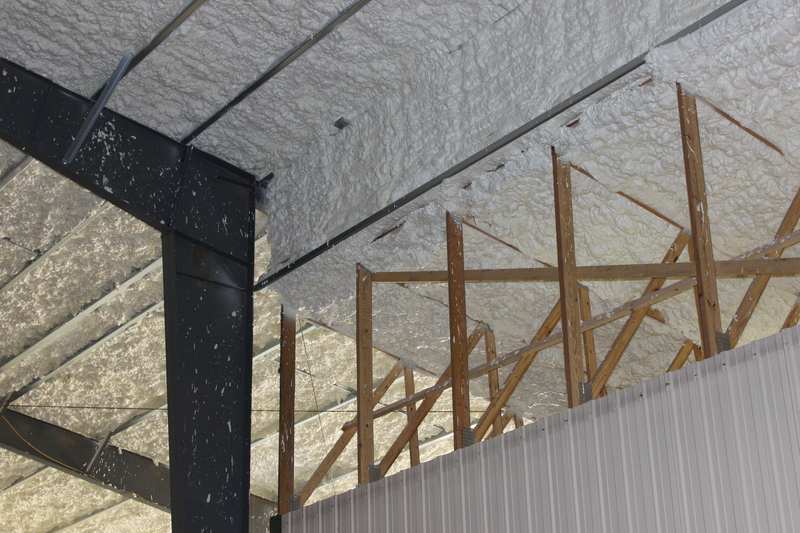 As insulation contractors, Foam Engineers takes on projects of all sizes and scopes. 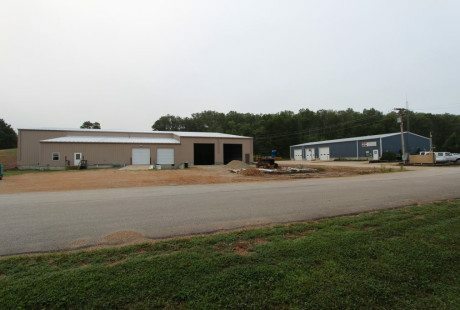 This summer, we were contracted to insulate a metal building in Steelville, Missouri. Foam Engineers worked with the company to pinpoint their unique requests and needs. We created a custom insulation plan for the company, which manufactures aerospace parts. They plan to use their newly efficient space to house machinery for their operation. 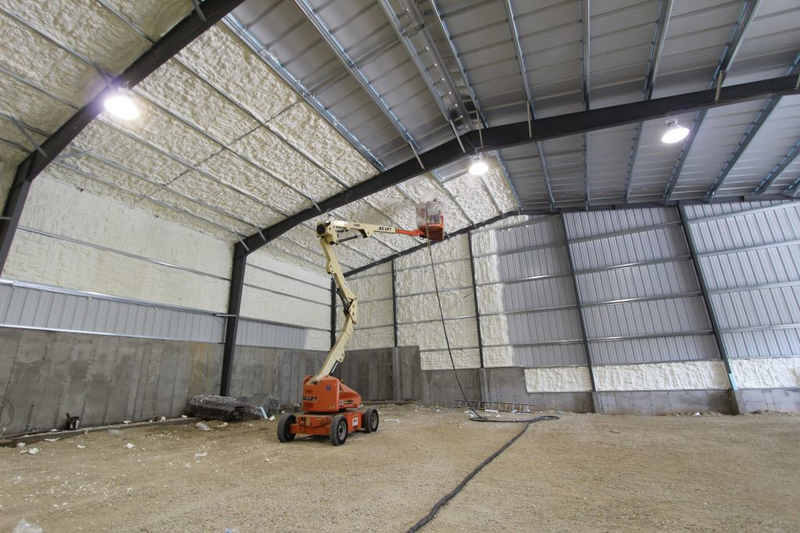 Foam Engineers was contracted to insulate this new metal warehouse in Steelville, Missouri. 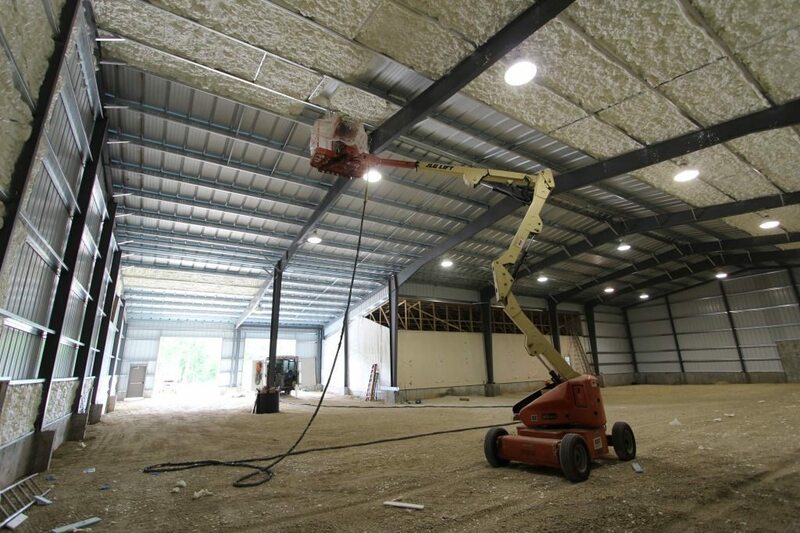 The Foam Engineers crew begins applying open cell spray foam to the metal roof sheathing and walls. 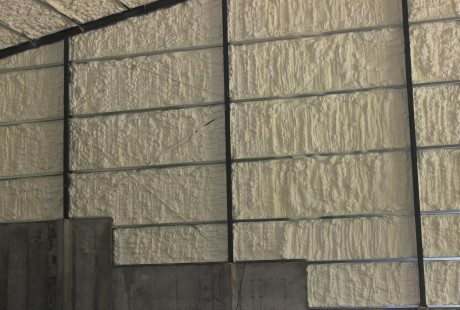 Foam Engineers determined open cell spray foam was the best option for this application. 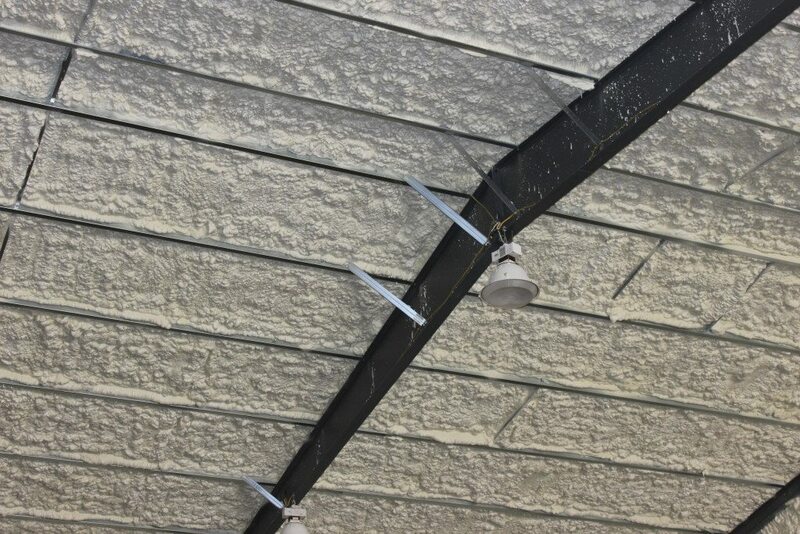 On the roof sheathing 1/2 pound spray foam was applied 6″ thick. The walls and gables were coated with 3.5″ of foam. This gave the newly insulated roof an R-value of 21 and the walls and gables R13. Foam Engineers aren’t afraid of heights! 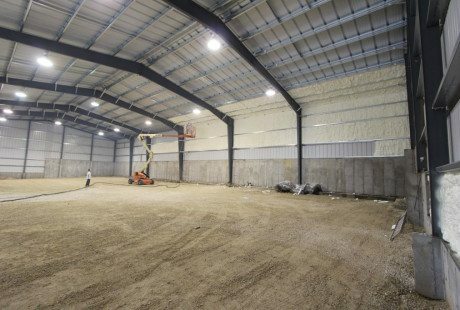 Open cell spray foam was applied to the roof sheathing, walls, and gables of this metal manufacturing facility. 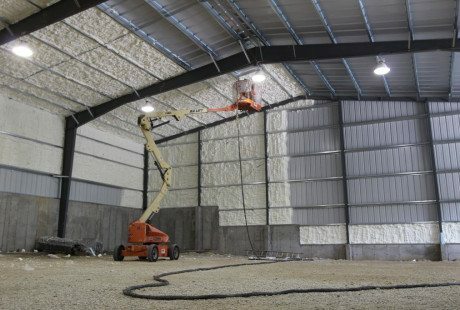 Spray foam is ideal for insulation because it adheres to a large variety of surfaces. Upon application, it quickly expands filling all gaps, cracks and voids. The result is an airtight building envelope that will prevent air loss and increase efficiency!